The plans – intended to help accelerate the transition to low and zero emission vehicles – set out that average CO2 emissions from new passenger cars and LCVs registered in the EU in 2025 will have to be 15% lower compared to 2021, rising to 30% lower by 2030 and enforced by penalties for every gram per km per car of CO2 that is over target. This would bring the ceiling for fleet average emissions down from the 95g/km limit currently levied from 2021 to 66g/km from 2030. The plans also set out a target for zero emission vehicles of 30% of new sales in 2030 but don’t set legally-binding quotas on this, in contrast to the original proposal. 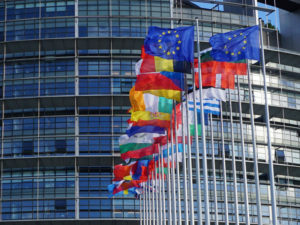 The proposals – which will now be considered by the European Council and Parliament – fall in line with the objective of reducing greenhouse gas emissions from transport by at least 60% on the 1990 level by 2050, as reaffirmed in 2016 under the European Strategy for low-emission mobility. However Mike Hawes, chief executive of the Society of Motor Manufacturers and Traders (SMMT), said the proposed targets “are a significant and potentially unrealistic challenge”.